Over the years I’ve come to realize that the most important meals of the day are breakfast, what you eat just before your workout, what you eat right after your workout, and what you eat just before bed. I’ll cover the breakfast and just before bed meals in another post. The most important thing to remember about pre-workout nutrition is that you want to eat something that’s going to give you lots of energy for the workout. After a workout you want something that’s going to quickly replenish your energy and help your muscle’s recover fast. If you’re trying to lose weight, these are the wrong meals to cut calories from. If you cut calories from your pre-workout meal you’ll be reducing the energy you have for your workout – you’ll be getting less out of it. Furthermore you’re putting your body into a catabolic state (a severe caloric deficit), which promotes muscle degeneration. That’s right, you’re actually making your body weaker, destroying muscle, and as a result, further slowing your metabolism. All things you want avoid. A good guideline is to take 0.25g of protein and 0.25g of carbs per pound of your target body weight (the body weight you want to achieve) 30 – 60 minutes before a workout and again right after your workout. So if you want to weigh 200 lbs, you would eat 50g of protein and 50g of carbohydrates before and after a workout. Don’t be afraid to consume sugar after a workout. Right after working out you want food that your body can digest quickly to satisfy your body’s nutritional needs. Sugar causes your blood glucose levels to rise, causing insulin to be released. After a workout is the only time you actually want to spike your insulin to encourage muscle recovery. That insulin helps drive nutrients into your muscle tissues quicker, which enables your muscles to grow and recover faster. Personally I like to eat a banana or an apple and a protein shake before a workout. Other pre-workout meals that I eat are a light sandwich with whole wheat bread and turkey slices or fruit and boiled eggs. Post workout I drink a protein shake with high sugar content – these are usually called weight gainers. I do this even when I’m cutting. Remember – cutting calories after a workout is the last thing you want to do. My favorite is EAS Mass Factor. It’s got just under 600 calories per serving with 52g of protein and 84g of carbohydrates. I’ll usually follow that up with a solid meal an hour later with chicken breast and whole wheat pasta or brown rice. 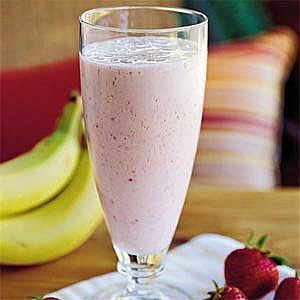 If you don’t feel comfortable taking consuming a high calorie protein shake after a work out, drink a regular protein shake and eat some fruit. Just make sure that you consume some sort of simple sugars and, ideally, liquid protein. The last thing you want is for you workout to cause you to actually lose muscle instead of gaining it. If you want to get really deep into the subject of pre and post workout meals, check out this forum thread on bodybuilding.com. Here's what I have been trying – and it really has worked for me but I have some questions. any good reccomendations on buying the Max Powers Anabolic Stack in bulk ? I want to use the stack for 3 months, off for three months and then on again for 3 months. Any bulk options? thinking about adding Vitamin C also, i'm just trying to mix and match to see what my body works well with and buy it all in bulk so i can save money. I've never heard of Dr. Max Powers. I was going to suggest bodybuilding.com, which is where I get all my supplements, but they don't seem to carry it. My favorite muscle building product is Animal Pump. Works really well. Also, Gaspari superpump is pretty awesome too. Not really anabolic supplements, but you'll tear it up in the gym.